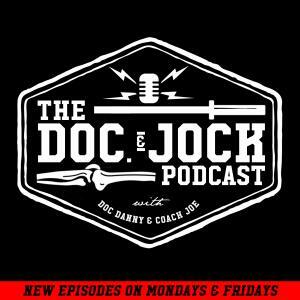 On Episode 245 of the Doc and Jock Podcast Danny & Joe take a trip to ASW Distillery in Atlanta, GA to taste some WHISKEY. They are joined by distiller/whiskey expert Chad to find out what the difference between Whiskey, Bourbon, Irish Whiskey, Scotch. He talks us through how to taste a whiskey the right way, whether to add ice or water and a ton of other really cool stuff. Check it out while drinking your favorite bourbon.